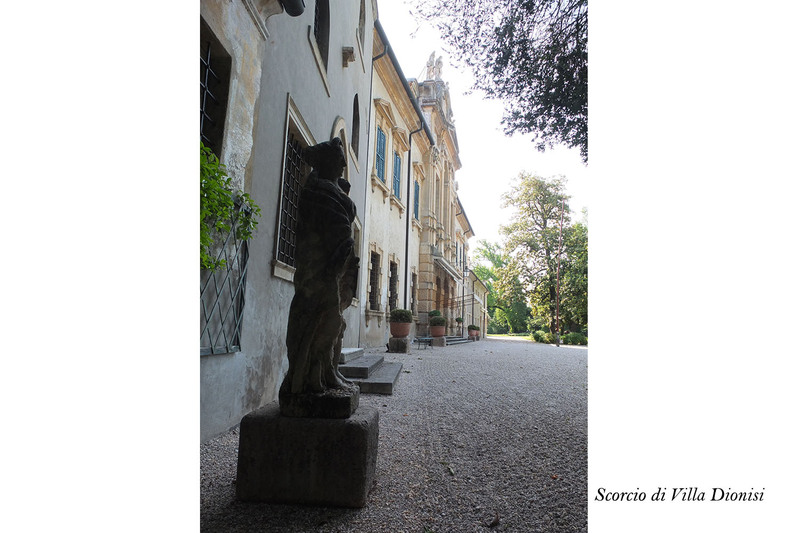 Villa Dionisi is a stylish mansion from the eighteenth century, elegant in its lines and structure, witness of a past life handed on to us through the changes of times and events. 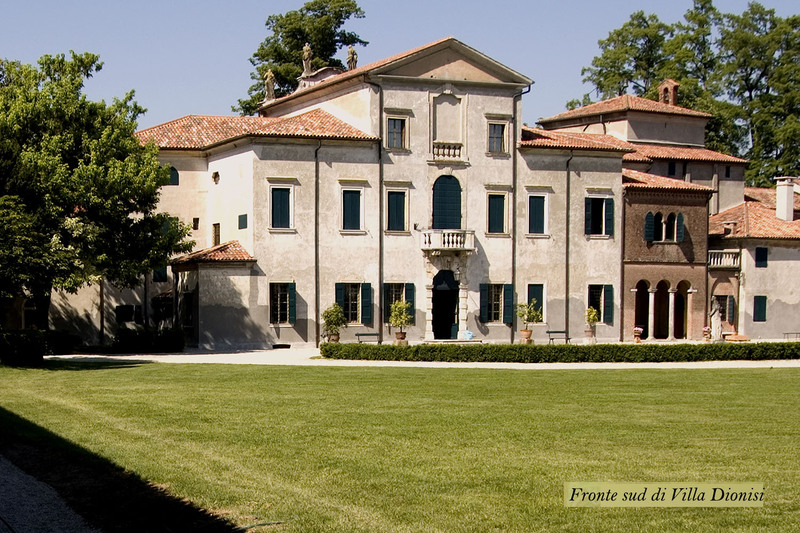 The decision of the noble Dionisi family to build a family villa in Cerea, was based on the necessity to exercise a direct control over the land brought to cultivation and at the same time an opportunity to welcome their many guests in a rustic and elegant ambience. Marquis Gabriele Dionisi (1719-1808) a leading figure in the enlightened society of Verona in the eighteenth century was a particularly aware of the importance of the project and in a century, in which the cultivation of rice became extremely important he accomplished it. 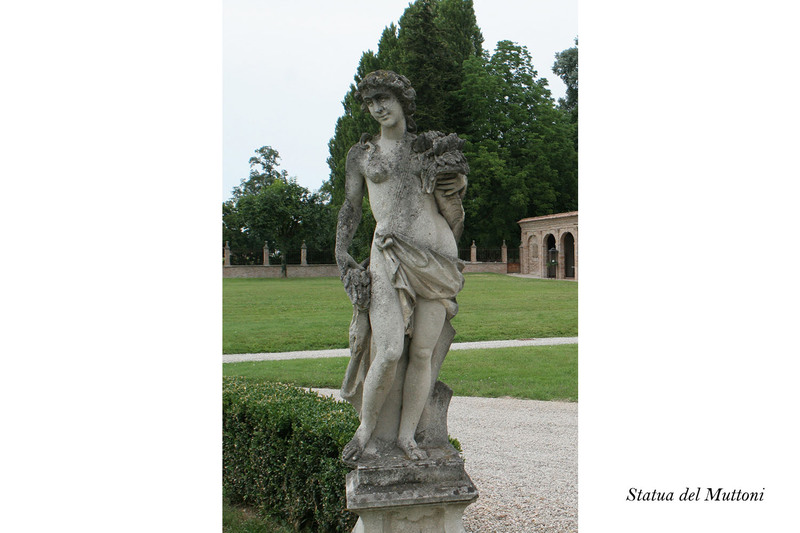 Marquis Gabriele not only led the agricultural enterprise, but he also started the renovation of the Villa using the existing structures. 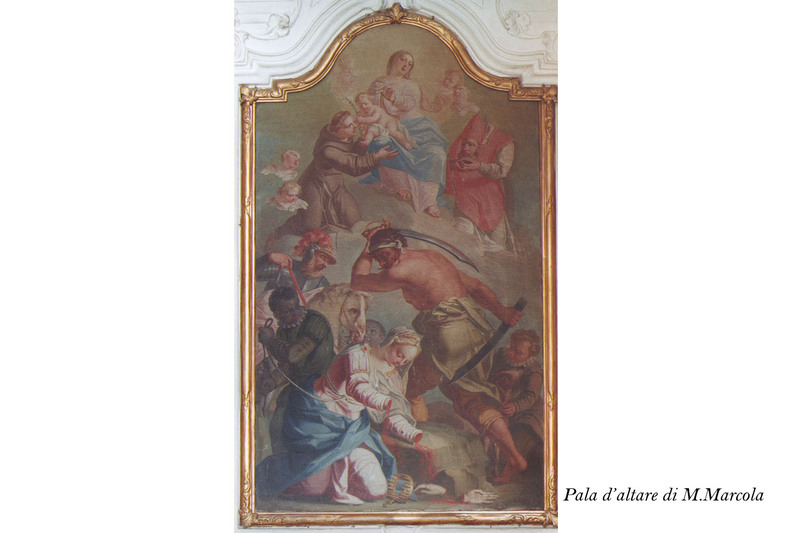 He indicated Nicola Marcola, decorator of the villa, the themes for the decorations aimed at the glorification of the Dionisi family. 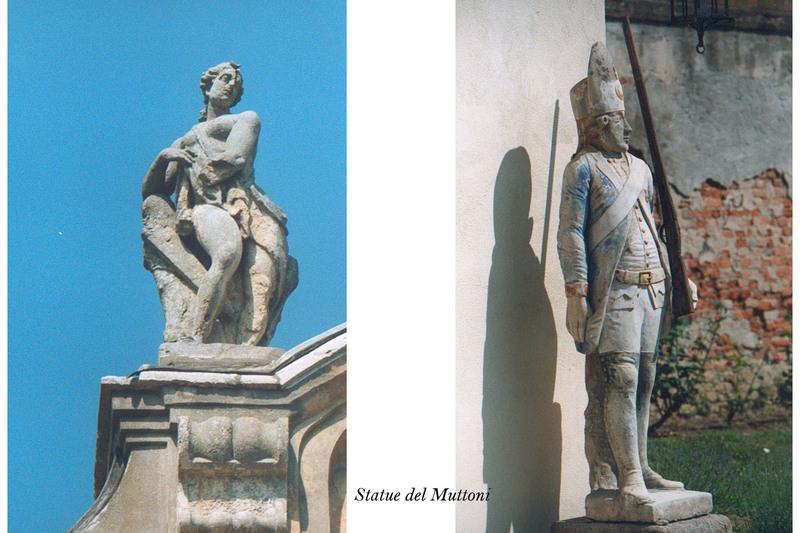 A few decades later, however the French troops occupied Verona and all certainties of the Marquis dissolved, Gabriele, an old man, witnessed how his world shattered. 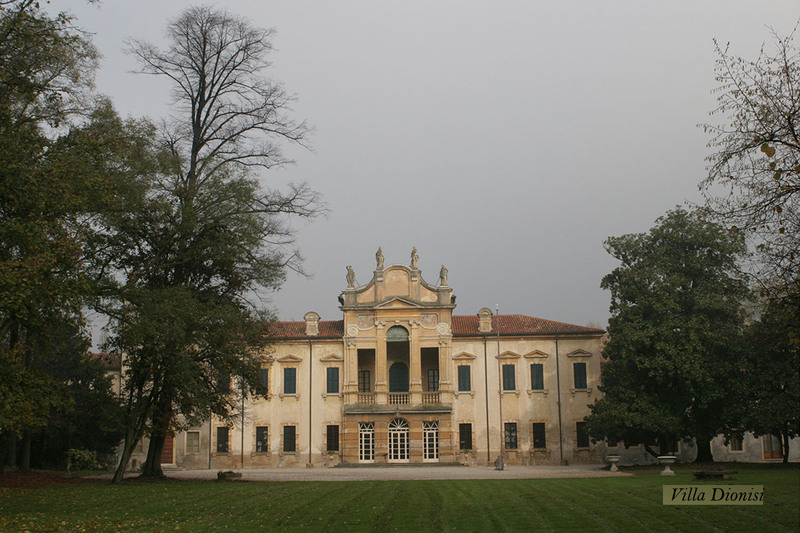 Villa Dionisi is one of the most interesting artistic testimonies of the eighteenth century in Verona. 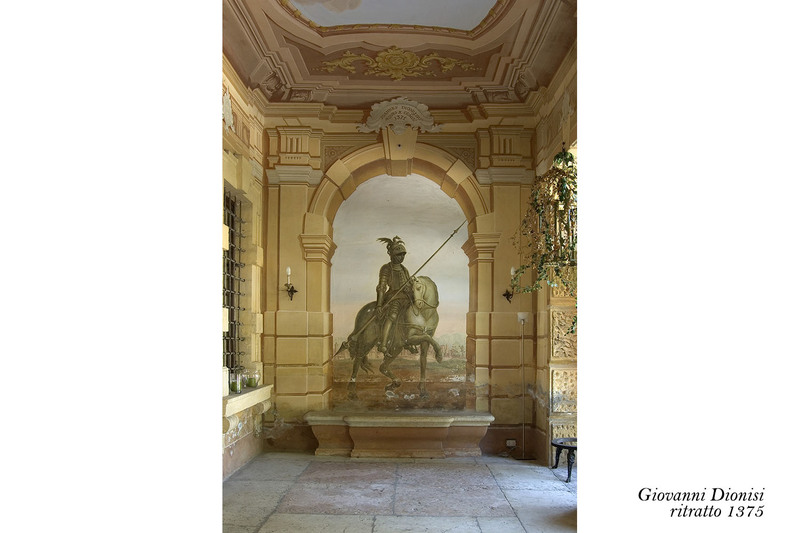 It collects, besides some artworks by Giuseppe Montana, a fascinating painter, architect also frescoes, and paintings by Marcola, present in the villa since 1743 when its founder Giovan Battista (1704 - 1776) had the Villa built. In the memoirs of Marquis Gabriele Dionisi, the artistic activities were well documented and reveal the presence of other artists such as Taddeo Taddei and Giuseppe Gru. 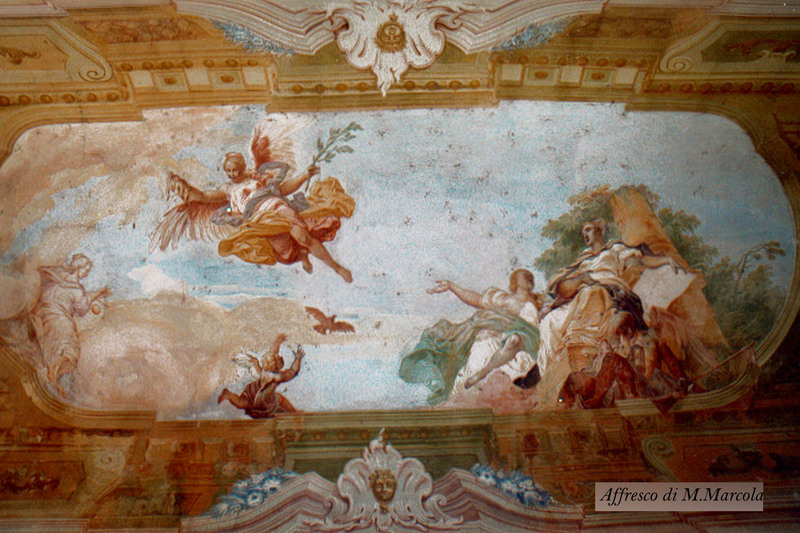 The construction of the villa, started in 1741, was already completed - except for the loggia - in June 1742 and in that same year the fresco on the ceiling of the salon was executed, depicting the crowning of a character of the Dionisi family. 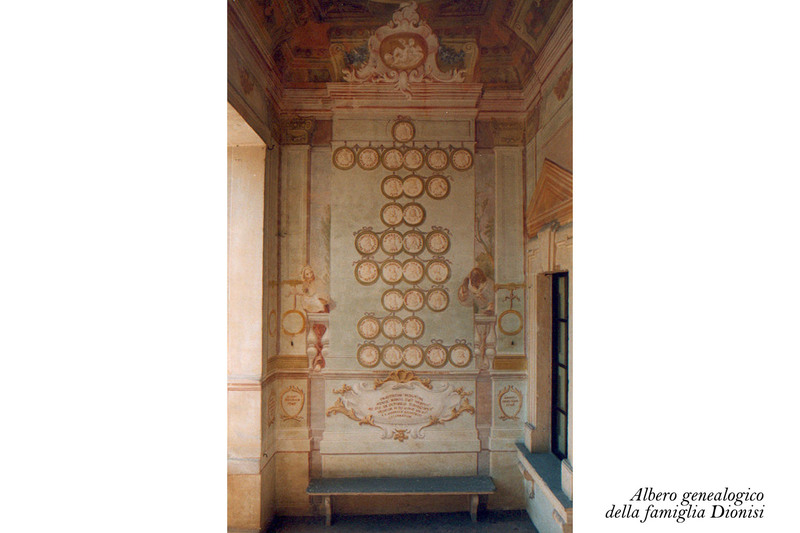 In ovals around the central fresco, portraits of family members were applied. 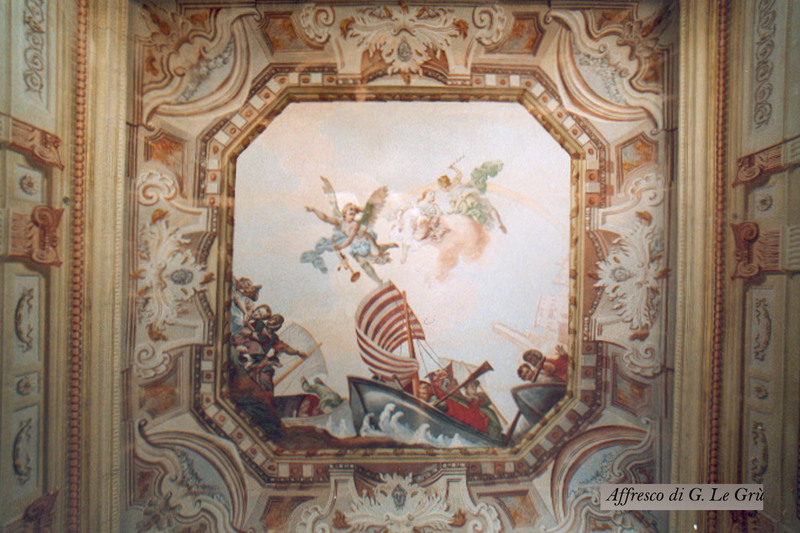 In July 1742, Montanari was commissioned to decorate the ceiling of the staircase where an elaborate and heavy frame contains three figures, Astronomy, Music and Agriculture enclosed in a compact block surrounded by putti.